There have been quite a few questions asking what routes Target Travel have / are losing and what, if any are they keeping. Obviously there are still quite a few of these questions still to be answered but here is the current state of play for all their PH1020218 route licenses. The routes still with Target as the moment are the 46/47, 59, 148, PA1, PA2 PA3, and the 57. 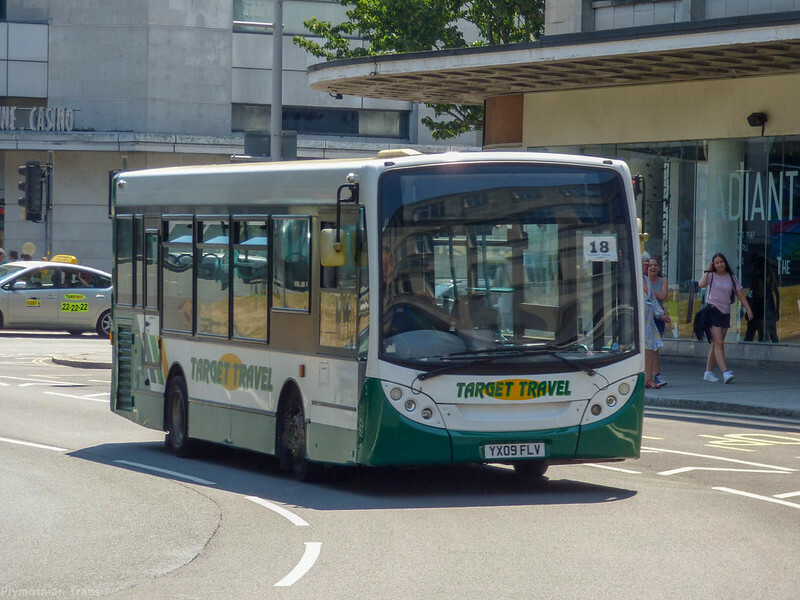 The Devon County Council tendered services were down to be cancelled at the end of October but this has been put back to 21st December, although the 59 remains current with no end date at the moment. Well I have not included here as its a bit of an oddity in that is is for route 223 St Budeaux Shuttle service effective from the 1st August 2003 and is still current from what I can see on VOSA. Presumably this will be cleaned up when any remaining routes get transferred across to a new operator licence in the near future.